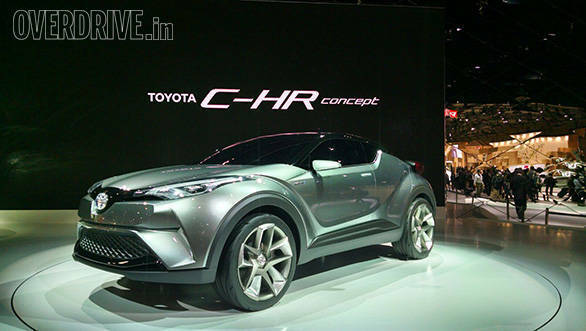 The Toyota CH-R concept seen at the 44th Tokyo Motor Show is a hybrid crossover and was first showcased at the 2014 Paris Motor Show. It is built on Toyota's new generation architecture, which was debuted in the Prius. There is a possibility that the Toyota CH-R will get a 1.5-litre four-cylinder engine producing around 170PS of power and an electric motor with an output of up to 200PS. The 19-inch alloy wheels, LED lights, extended wheel arches and side skirts make the car look muscular. Toyota also aims to achieve a thermal efficiency of 40 per cent in the CH-R concept, which will contend with the Nissan Juke and Jeep Renegade. Toyota also claims that the car will have spacious interiors. We can expect this near production model to be launched with five doors. The SF-R concept is an entry-level rear wheel drive sportscar. It houses a 1.5-litre inline four-cylinder engine mated to the Aisin 6-speed transmission. Toyota says that the car has a fuel efficiency of 20kmpl and it weighs around 980kg. This two door four-seater sportscar features a large front grille and round headlamps with DRLs. 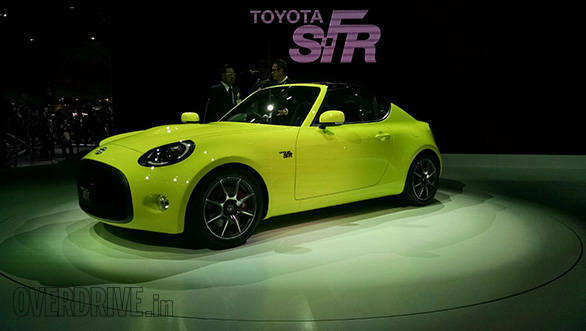 It is expected to be placed one notch below the Toyota GT86 whenever it hits the market.